The Key to Every Door. “The most beautiful thing you can wear is confidence.” ~ Blake Lively; American actress. Life throws obstacles and challenges at us to help us grow, because that is the purpose of being here: To elevate our minds and become better human beings through rich experiences (good and not so good experiences, they are all meant to teach us something). But the reality of our lives is that most people, because of their childhoods or really traumatizing experiences they go through, are not feeling really confident to better themselves and face those challenges head-on. And here is the most important tip I can give you to be confident, which I use myself every day and really works like real magic: Watch your Self-Talk. Confidence is not about your talents, or your intelligence, or your job, or even your education. From personal experience, I know confidence is energy from Infinite Intelligence, some may call it divine. See, confidence is in what you tell yourself everyday, the self-talks you have in your own head. If you are always complaining about your life, about yourself, allowing your attention to go towards your flaws and what you do wrong, then, chances are you won’t develop confidence. Because your self becomes your enemy, self-confidence won’t be permitted to reach you. To develop confidence, you must embrace yourself, love every part of you inner self; therefore, accept your flaws, work on them, but DO NOT let your attention remain upon your weaknesses or flaws, for this will distance your mind from your inner self, and soon this becomes the opposite of self-love. 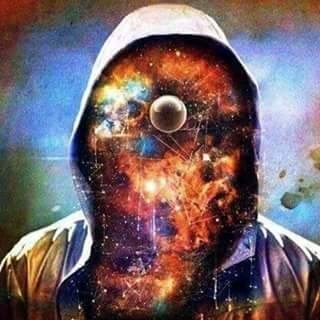 Also, this may sound silly, because most of the time we see ourselves as a tiny grain of sand in the whole vastness of Creation; however, I always tell myself that the energy inside each atom that makes me physically is the same exact energy which makes black holes, planets, and all phenomena. I suggest you remind yourself just that, because the power and confidence lies in the energy you have within you. You cannot see this energy but it is there, if you persevere on your goals, if you respect yourself and watch what you tell yourself in any situation, then, confidence will become part of your everyday life. You will walk tall and mighty in this world, because now you developed confidence in your self, self-confidence.